GolfDay Texas was released to the App Store and Google play in August, with up-to-date information on more than 600 public, private and resort courses in the lone star state. 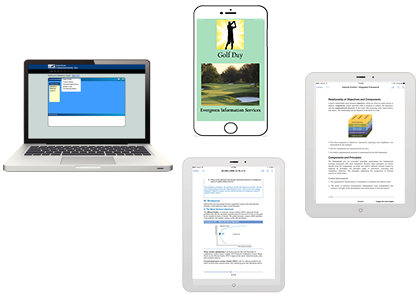 GolfDay is optimized for easy use on iPhone and Android smart-phones, with address and phone number, USGA course and slope rating, state and national course rankings, practice facility detail, link to course web-site, booking links and more. Courses can be displayed by proximity (current location or destination), county, city, ranking or course name. New courses and updates have been released for GolfDay New Jersey, New York Metro, Florida, North Carolina, Arizona, Los Angeles, Chicago and Top US so we now provide current information on more than 5,000 courses in the United States. GolfDay California, with approximately 1,000 public, private and resort courses, will launch in December. Custom business editions of GolfDay can also be built to include corporate branding, individual personalization, and specified links to provide direct communication with customers on special offers and upcoming events. Call us at (973) 339-9672 for more information. There are many options for bringing content to your audience and Evergreen can help with all of them. In addition to design and creation of print-ready files, EIS can prepare your content for export to the web or ePub with optimized layout. Our Document Management Platform will facilitate organization and the approval process of your source documents, photos, and graphics. If you want to expand your audience to smart-phones and tablets, Evergreen can build custom Mobile Applications to fit your needs—without breaking the budget.